Is your refrigerator not cooling? Is it freezing all of your food? Is your fridge making loud sounds? 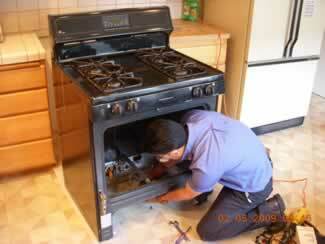 At All Alpharetta Appliance and AC Repair we can fix your fridge in no time! Most of our fridges are repaired on our first visit to you. We can guarantee that you will be satisfied with our results. All of our refrigerator repair technicians are highly experienced so you you can trust that your fridge is in good hands. Roper Wolf AsKo And More! Zebulon Branch 31221 Waycross 31501 Dalton 30719 And more! Practicing refrigerator maintenance allows you to keep your refrigerator running at maximum efficiency for as long as possible. That means that you can put of buying a new fridge and your stored groceries will remain fresh longer. A little prevention can go a long way to increase your unit’s efficiency. Don’t keep your refrigerator’s temperature setting too low. If the temperature is too low, it will have to run more to cool to a lower temperature. You will end up paying way more than you should to keep your food fresh. 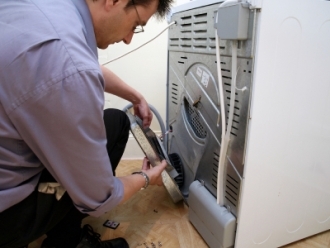 Replacing the water filer is the easiest refrigerator maintenance tasks, do this every 6 months. If you don’t replace your fridge’s water filter this will result in clogged dirt and bacteria. It will not only decrease your fridge’s efficiency, but also lead to you drinking infected water. Keep your refrigerator’s condenser coils clean.The coils become dusty fairly quickly. If the coils are covered with debris, this will cut down on the refrigerators operating efficiency. Dirty coils will cause the compressor to run hotter than it normally should. This will reduce your fridges life span, and your electric bill will become more costly. So clean your condenser coils every 3 months, they are usually located under or behind your unit.